It is a little miracle on four wheels, discovered on a field in Eastern Europe by two of the most competent collectors of air-cooled Volkswagens: The 38 split window Beetle is one of three surviving prototypes of the VW 38, later also known as the KdF (Kraft durch Freude) car. The find is a sensation and electrifies the Beetle scene. Today, the first “Splitty” Beetle is owned by VW restorers Traugott and Christian Grundmann. With incredible attention to detail and a brilliant support team, they breathe life back into the automotive fossil. When father and son first set eyes on it, the car was quietly rotting away on a field in the Lithuanian town of Vilnius. Now the vehicle with the chassis number 3806 is as black and shiny as it was more than 70 years ago. It is the pride and joy of the Grundmann collection. With his camera, photographer and VW fanatic Axel Struwe accompanied the project from day one. His photos impressively document the rebirth of a legend. 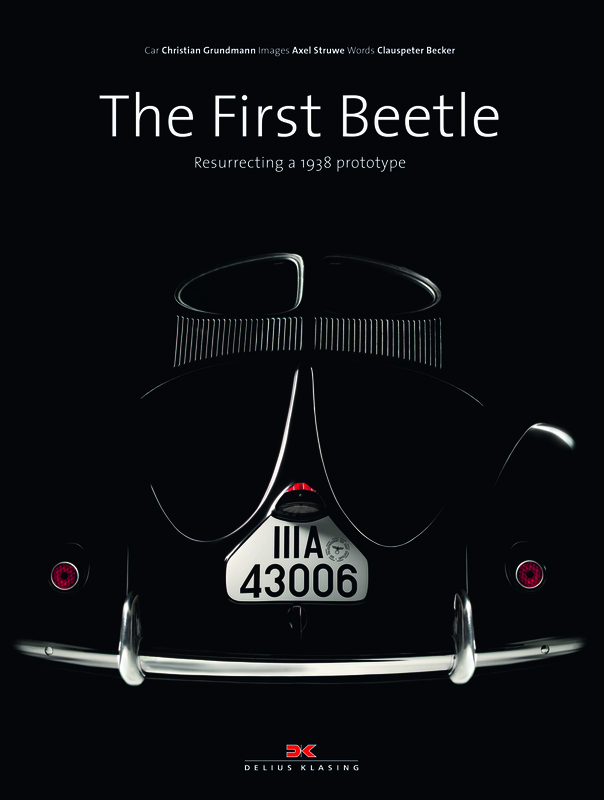 Renowned motoring journalist Clauspeter Becker also set out to trace the story of the first split window Beetle. His texts not only tell the story of this hand-built prototype designed by Ferdinand Porsche, but also describe the extraordinary challenges that came with its restoration.